The Newark International Airport is located a short New York car rental drive from Manhattan. A 20 to 60 minute drive, depending on traffic, will take you the 18 miles from Midtown Manhattan to the Newark Airport, and then it’s just a matter of time before you’re traveling the world! The Newark International Airport is found in New Jersey and is operated by the Port Authority of New York. Your New York adventure begins upon your arrival at Newark International, so in order to get yourself oriented with the airport AAMCAR has designed an informative page all about EWR. 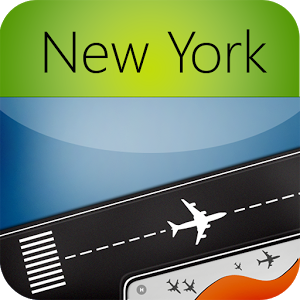 AAMCAR also has two other New York Airport pages with great information on John F. Kennedy Airport and LaGuardia Airport. The Newark International Airport opened in 1928 as the regions first major airport. EWR (another name for Newark International) is now 2,027 acres large and one of the biggest airports in New York. The central terminal area is a 425 acre oval and consists of three main buildings. Over the last 15 years the Newark Airport Terminals have gone through extensive renovations to help make your traveling experience even better! Terminal A at Newark Airport has gone through a variety of “re-lifting” programs to help beautiful and organize key components of the building. Airline ticket counters, and gates have been relocated for the convenience of travelers, while new and improved food, beverage and specialty shops have also been installed. In 1995 American Airlines completed a huge expansion in Terminal A which included lighter and brighter amenities and finishes. Major airlines that have a home in Terminal A include Air Canada, Alaska Airlines, Continental, and other domestic flights. Terminal B went under a modernization process in 1992 with new concessions and new passenger service facilities. Delta Airlines and Northwest Airlines went through a variety of upgrades, along with Virgin Atlantic, Lufthansa, and British Airways in 1996. The total modernization of Newark’s Terminal B was completed in 2002 when new escalators, revolving doors and freight sized elevators were installed, making it easier for you to transport your baggage from the terminal to the parking garage and your New York car rental. Major airlines that operate out of Terminal B at Newark include international flights on Air France, Czech Airlines, Air India and Air Jamaica. Terminal C is one of the larger terminals at Newark with three linear concourses that accommodate 60 gates. These concourses offer such amenities as food, beverage and retail shops. Terminal C is also home to the Global Gateway Project which was launched by Continental in 1998. This $800 million project was geared towards making Terminal C more accessible to busy travelers; two levels of New York car rental vehicle drop off space was added for departing passengers, along with new baggage handling facilities and much more. Terminal C allows passenger traveling on Continental international flights to connect with domestic airlines without leaving the building, making connections easy and hassle free. Major airlines that are based in Terminal C include Continental and Express Jet. The Newark International Airport has plenty of parking facilities for you and your New York car rental including valet parking, short term parking, daily parking and economy long-term parking. There are also numerous parking areas reserved for disabled travelers, which are close to each terminal entrance. Parking ranges from $3 to $36 dollars, and all have been proven safe. The Newark Airport also offers an E-Z Pass parking systems along with Free shuttle buses every 10 to 15 minutes between all three terminals. For more information on the Newark International Airport visit their official website at www.panynj.gov/aviation/ewrframe.htm. If you’re looking to surround yourself in luxury during your upcoming AAMCAR New York Car Rentals vacation, look no further than the New York LaGuardia Airport Marriott hotel, located just seconds from the world famous LaGuardia International Airport. Conveniently located just minutes from downtown Manhattan, the New York LaGuardia Airport Marriott hotel boasts a long list of first class services and facilities, providing both leisure and business travelers with first class cosmopolitan accommodations. Composed of comfortable rooms and state-of-the-art facilities, the New York LaGuardia Airport Marriott hotel contains the latest in travel necessities, boasting beautiful bathrooms, plush meeting centers and superb on-site dining. The perfect fit for AAMCAR New York Car Rentals’ clients, the New York LaGuardia Airport Marriott is located at 102-05 Ditmars Boulevard, directly across from the LaGuardia main terminal. The New York LaGuardia Airport Marriott hotel is overflowing with exciting first-class services and facilities, all of which are intended to help make your stay in NYC ultra-relaxing. From the complimentary newspaper delivery and shoeshine, to the on-site foreign money exchange and valet-drying clean, the New York LaGuardia Airport Marriott has everything you need to start (or finish!) your AAMCAR New York Car Rentals vacation right! Facilities in the hotel also include a beauty shop, gift/newsstand store, an on-site arcade and numerous in-house restaurants, lounges and room-service programs. Designed to provide travelers with the ultimate in luxury-accommodations, the New York LaGuardia Airport Marriott hotel also features a pristine indoor pool complex, which includes a children’s pool, adults pool, sauna and whirlpool, as well as nearby access to sailing programs, golf courses and numerous bike/jogging paths. Guestrooms at the New York LaGuardia Airport Marriott hotel have all recently been renovated, providing AAMCAR New York Car Rental’s clients with an updated look of contemporary elegance and comfort. From the high-speed internet access to the double paned windows, the guestrooms at the LaGuardia Airport Marriott and ready and waiting to provide you with hours of endless rest and relaxation! Other exciting guestroom amenities include: an alarm clock, complimentary bottled water, in-room coffee and tea services, an iron and ironing board, down/feather filled pillows and individual climate control. In-room business amenities include internet browser/web TV, the CCN cable television channel, two-line phone, desk-level electrical outlets and a convenient speaker phone feature. If you’re currently in the process of planning a high-profile New York business meeting, what better place to base it than at the New York LaGuardia Airport Marriott hotel! Conveniently located within walking distance of the airport, the LaGuardia Airport Marriott currently offers a variety of exciting business facilities and amenities perfect for all types of business and meeting presentations. Meeting space highlights at the LaGuardia Airport Marriot Hotel include: 23 meeting rooms totaling nearly 15,250 square feet of space, 17 breakout rooms, and a Grand Ballroom capable of seating 645 guests. The New York LaGuardia Airport Marriott hotel also offers event rental space for weddings birthday parties, anniversary celebrations and all sorts of other social events, so please feel free to call and talk to anyone of the Marriott’s experiences event planners for more details. For more assistance with reserving meeting space at the New York LaGuardia Airport Marriott Hotel please call the Sales offices at 1-718-565-8900. To learn more about the New York LaGuardia Airport Marriott hotel please feel free to visit the official Marriott company webpage at www.marriott.com, or call the LaGuardia Airport Marriott directly at 1-718-565-8900. If you would like to make a reservation at the New York LaGuardia Airport Marriott hotel simply call the toll-free hotline number at 1-800-882-1043. Numerous AAMCAR New York Car Rental clients have stayed at the LaGuardia Airport Marriott during their recent Big Apple visit and highly recommend it to both leisure and professional travelers. If you’re flying into New York on a domestic flight, chances are you’ll be landing at La Guardia Airport in the borough of Queens. La Guardia is located a short 20 to 40 minute New York car rental drive from Manhattan, depending on traffic, plus La Guardia is located right on the Grand Central Parkway, making navigating easy! The La Guardia Airport is operated by the Port Authority and services many major airlines, most of which are domestic flights. La Guardia is a busy place these days with over 533 non-stop flights departing and arriving daily! LaGuardia is also a major shipping airport with over 1,293 tons being transported through the airport in just one month! Read on for more information on La Guardia Airport and then check out their official website for help with flight changes and other airport services. The La Guardia Airport site can be found at www.panynj.gov/aviation/lgrtfram.htm. The terminals at La Guardia Airport are arranged in a semi-circle position along the Grand Central Parkway. Multiple access roads are available for those of you traveling in your New York car rental, so be sure to consult a map before braving the confusion of airport drop-off traffic! The terminals are lettered A, B, C and D. Terminal A is the Delta Shuttle Marine Air Terminal, terminal B is the Central Terminal Building (or CTB), terminal C is the US Airways and US Airway Shuttle Terminal, while terminal D is home of the Delta airlines. Depending on where you’d like to go upon your arrival in the state of New York, you may wish to head east in your New York car rental towards Long Island and Whitestone Bridge, or you may want to head southwest to the Triboro Bridge and the busy boroughs of Manhattan and the Bronx. The terminals are relatively close together, and there is a free bus shuttle from the Marine Air Terminal (terminal A) to all the other terminal buildings, so if you need to catch a connecting flight it is recommended that you hop on this handy commuter! La Guardia offers a wide variety of paring options for your New York car rental, from metered spots to long term areas. There are plenty of lots dedicated to daily parking, while the main long term lot is located just between the Central Terminal Building (terminal B) and the US Airways Terminal. Metered parking is found just outside the Marine Air Terminal and is quite limited. Parking costs range from $.50 per 15 minutes at the metered parking to $24 per 24 hour. It’s easy to find the parking garages at La Guardia in your New York car rental – simply follow the “P” signs to the airport exit for additional spaces. La Guardia also offers numerous disabled parking areas close to the terminal entrances along with free courtesy buses that transfer travelers between parking lots and their desired terminals. La Guardia Airport offers a wide variety of shops and services to travelers ranging from barber shops to shoe shines! So when you’re feeling a little weary or bored why not check out one of the numerous restaurants, slower shops, duty free stores, or cocktail lounges?! La Guardia also offers services like banks, places of worship, wireless internet acess, currency exchange, and nursery stations; you name it and La Guardia has it! If you’re flight arrives late at night, there’s no need to worry; numerous hotels are located right next door to La Guardia Airport, allowing you to catch some much needed Z’s before hoping in your New York car rental and discovering the city! John F. Kennedy Airport is the busiest airport in New York, handling over 30 million passengers annually. JFK has nine terminals and hosts over 80 international airlines that travel the globe everyday! JFK is located a short 15 mile New York car rental drive from Manhattan in the borough of Queens, making it easy for travelers to get in and out of New York City. John F. Kennedy Airport originally opened as the New York International Airport in 1948, but was renamed for the president in 1963. JFK Airport is equipped with numerous hotels, shops, restaurants and New York car rental parking garages, making it a great entryway to NYC! Read on for more information on terminals and services available at JFK, or feel free to visit AAMCAR Discount Rental Cars other New York airport pages Newark International Airport and La Guardia Airport. When you’re leaving the Big Apple after your business trip or vacation there are a few things you need to do. First, you must drop off your New York car rental, and then you must find your departure gate and the corresponding terminal. Now, JFK is a pretty humongous facility, so you may wish to do a little research and planning before embarking on your return trip home! Listed below is a brief description of the terminals at JFK and their approximate location. These terminal are next to the Van Wyck Expressway and include gates 1 to 10 (Terminal 1), gates 19 to 30 (Terminal 2) and gates 1 to 18 at Terminal 3. Terminals 1, 2 and 3 all service international flights include major airlines like Virgin Atlantic, Air France, Delta and Japan Airlines. These three terminals have a convenient parking garage centrally located between the three separate buildings, for those of you who need to park your New York car rental. Terminal 4 is located north east of Terminal 3 and includes gates 9 through 21 and 24 through 35. Terminal 4 has two separate wings, the East and the West which service more international airlines including Continental, Northwest, Air Portugal and many more. Terminal 4 has its own parking garage. These three terminals form the northern top of the central terminal circle and include gates 21 through 45 (Terminal 5), 1 through 7 (Terminal 6) and 1 through 12 at Terminal 7. These terminals service both domestic and international flights and include major airlines like Air Canada, United Airlines, America West and many more. Terminal 5 at this point in time is currently closed for renovations. A parking garage is available out front of Terminal 7 for those of you who need to park your New York car rental. Terminal 7 is also located next to the JFK Expressway, making locating the terminal in your New York car rental easier. Terminals 8 and 9 are both broken into two concourses; Terminal 8 has concourse A and B with gates numbered 1 through 24. Terminal 9 is split into concourses C and D with gates numbered 10 through 49. These terminals are located on the western side of the Van Wyck Expressway and service airlines like American, Iberia and Finnair. Visiting New York City is an exciting adventure, and flying into the ever active John F. Kennedy Airport makes for a great first glimpse of the Big Apple! Looking for something to do during your trip to New York? Why not visit the Empire State Building located at 350 Fifth Avenue in midtown Manhattan! Observatory hours are 9:30 AM to Midnight daily, with special holiday hours for Christmas and New Years. The Empire State building is open 365 days a year and has a large staff waiting to answer all of your questions. The Empire State building is located right in the center of Manhattan so why not drive on over in your New York rental car; it isn’t everyday that you get to see one of the largest buildings in the world! You may notice when you drive past the Empire State Building in your New York rental car a splendid array of colored lights that decorate the top of the building. These lights are not just erected during the Christmas season; instead they are lit year round as a symbol for different events. For example, when all of the lights are gold on the top of the Empire State Building it is in honour of the Academy Awards and Oscar week in NYC. When the lights alternate blue, white, white it is for United Nations Day and the pattern of orange, blue, blue symbolizes the New York Knicks opening basketball game! These lights allow for quite a view from below in your New York rental car, and are even more spectacular when viewed from the neighboring buildings. Driving through NYC in your New York rental car is one way of seeing the sights, but by far the best way to see New York is from the top of the Empire State Building. On floor 86 of the Empire State building lies the Observatory. This floor has spacious outdoors promenades on all four sides, creating a breathtaking panoramic view of the city. The Observatory also offers a heated and air conditioned glass-enclosed gallery (for those visitors who aren’t exactly excited about heights!). The Observatory is handicap accessible and offers a snack bar along with souvenir counters. High powered binoculars are available for visitors to use, at a minimal fee, which are perfect for scanning the horizons of New York City’s skyscrapers. Please note that the Empire State building, for obvious reasons, enforces a variety of safety precautions within the building. Security checks are mandatory when entering the building and are described as being similar to those preformed at airports. Cameras and camcorders ARE definitely allowed during your tour of the Empire State Building, but please no glass bottles or large duffel bags. The Empire State Building is such a charming and beautiful building that it has even appeared in some major motion pictures and documentaries over the years! Some of the most famous include: When Harry Met Sally, King Kong, Guys and Dolls, Sleepless in Seattle and of course, Independence Day. The Empire State Building has also had some famous visitors during its almost 75 year run. They include Queen Elizabeth in 1957, Fidel Castro in 1959, KISS in 1976 and even the soccer star Pele in 1975. For more information on the Empire State Building or to order your advance tickets visit the buildings official site at www.esbnyc.com! If you’re planning on getting married or eloping to New York City there are a few things you’ll need to know. Firstly, you will need to get a marriage license. Obtaining a marriage license is really quite simple in New York City, but it will take a little time and a few short trips in your New York car rental, so be sure to leave time! Marriage license cost $35 and are payable by money order only. Both prospective bride and groom must appear together at one of the borough offices of the City Clerk of New York in order to obtain their marriage license, so don’t leave in your New York car rental without your significant other! The Manhattan City Clerk Office is located at 1 Centre St., in the Municipal Building on the 2nd floor. Office hours are from 8:30 AM to 4 PM weekly; for more information call the offices at 212.669.2400. Make sure to bring proper identification with you, like a passport of driver’s license for example, but rest assured that a blood test is not required! A New York State Marriage License is valid for 60 days in the state of NY only; a 24 hour waiting period is necessary before a wedding ceremony can be preformed so be sure to make your plans accordingly. If you’re looking for a venue to get married in while visiting the Big Apple be sure to check out these locations in your New York car rental! If you’re looking to have a gorgeous classic wedding why not check out some of the historical New York venues! From Central Park to Carnegie Hall; The New York Botanical Gardens to the Waldorf Astoria hotel, a fairytale wedding is awaiting you in NYC! New York City, (especially Manhattan!) is filled with hotels and event spaces that are perfect for staging breathtaking weddings! From the traditional to the extraordinary, NYC and Manhattan have plenty to offer you when it comes to wedding ceremonies! If you’re looking for a breathtaking location for your dream wedding, Gotham Hall is the perfect place for you and your loved one to say “I do!”. With chandeliers, Corinthian columns, imported marble floors and stained glass windows, what mmore could you ask for! Whether you’re planning an intimate affair, or a massive party, Gotham Hall can cater to all of your needs! Call 212.244.4300 for more information! The Wyndham Garden Hotel is located at LaGuardia Airport, making it a great choice for couples planning on flying friends and relatives in from far off places! Getting lost on in your New York car rental on the way to your wedding service definitely won’t be a problem at the Wyndham! Every wedding at the Wyndham is unique, so get ready for a wedding like no other! For more information on booking a wedding at the Wyndham visit www.wyndham.com. If you’re looking to add a different flavor to your nuptials, be sure to contact Lots of Yachts/ Lots of Spots to learn about interesting wedding ideas in hotels, lofts, penthouses and yes, even on your very own private yacht! Call 212.245.2533 for more information or visit them in your New York car rental at 1 Irving Place Plaza! If you’ve yet to pop the big question to your sweetheart, why not ask her during your trip to Manhattan? New York City is a beautiful place to propose, whether it be in central park or in the air?! The Liberty Helicopter company provides a once in a lifetime proposal opportunities flying high above the busy streets of Manhattan. Private “Romance over Manhattan” tours are perfect for couples who like to do things a little differently! 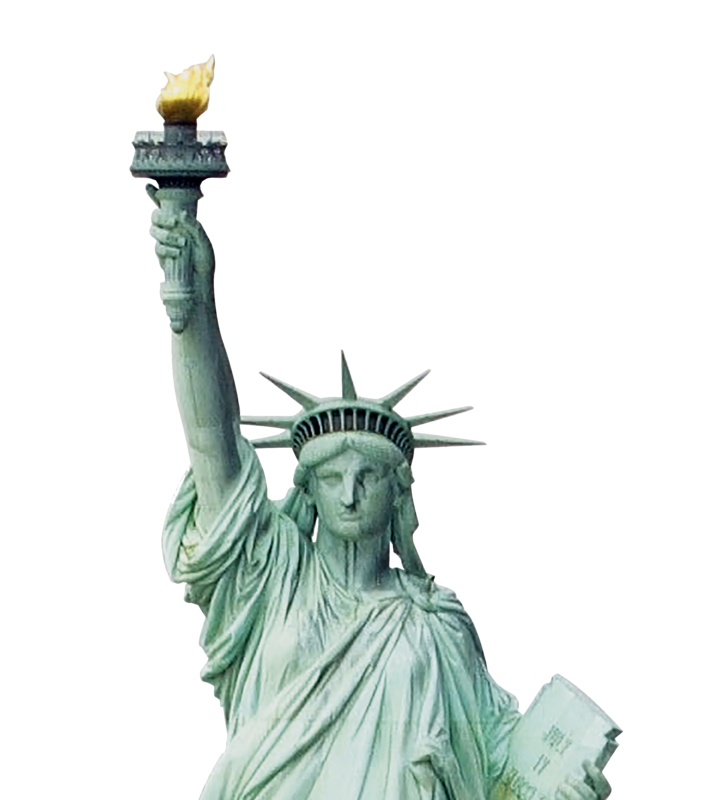 For more information Liberty toll free at 800.542.9933 or visit their website at www.libertyhelicopters.com. The Port Authority of New York and New Jersey is in charge of maintaining and managing the critical bridges, tunnels, bus terminals, airports, PATH system and seaports located throughout the Big Apple and neighboring New Jersey shore. These transportation routes are critical to the bi-state regions trade and transportation capabilities, providing the customers of AAMCAR Car Rentals in New York City with a wide variety of safe and secure transportation services. Through the Port Authoritys facilities and services, the people of New York are able to make thousands of vital connections each and everyday providing travelers with the highest quality of comfort and travel. Designed to help enhance most any visit the city, the Port Authority is proud to provide the customers of AAMCAR Car Rentals New York City with promote, polite service, so dont be afraid to contact anyone of the Authoritys facilities for further information! The Port Authority of New York and New Jersey was formed back in 1921 to administer the common harbor interests of New York and Jersey. 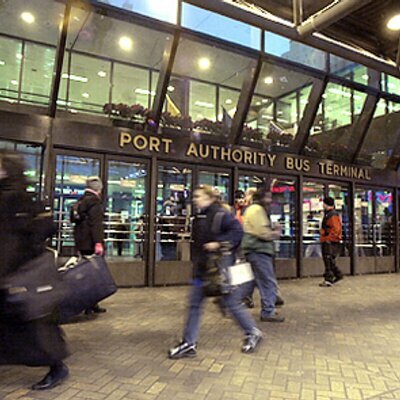 The first establishment of its kind in the Western Hemisphere, the Port Authority quickly grew to managing many of the citys important transportation routes and travel programs. Port Authority projects have included everything from the Holland Tunnel to the World Trade Center, providing the city with a strong economic base and powerful international presence. Lately the Port Authority has concentrated their efforts on the transportation and trade projects critical to New York Citys economy, developing the new ExpressRail system, enhanced airport facilities and the state-of-the-art E-ZPass electronic toll collection system. Upcoming Port Authority projects also include developing new PATH terminals at the World Trade Center Site, expanding ferry services and further cracking down on local security issues and facility bylaws. All in all, the Port Authority of New York and New Jersey is well on its way to becoming one of the citys most important public agencies, providing travelers with outstanding quality and conscientious service. If youre planning on driving car rental anywhere in New York City, chances are good youll be relying on some sort of Port Authority program. From the international airports to the local roadways, the Port Authority of New York and New Jersey is proud to be a part of your daily commute! Popular Port Authority run hubs of transportation include everything from the AirTrain at John F. Kennedy Airport, to the Ferry services along the Hudson and East River channels. A vital part of everyday life in New York City, the Port Authority is proud to provide the customers of AAMCAR Car Rentals in New York City with quick and efficient transportation services, 24 hours a day, seven days a week! The Port Authority is also proud to maintain those bridges which connect the shores of New York with the shores of New Jersey. These include the Goethals Bridge, the Bayonne Bridge, the Outerbridge Crossing and the George Washington Bridge. If you are interested in learning more about the Port Authority of New York and New Jersey before embarking on your upcoming AAMCAR Car Rentals in New York City vacation, please feel free to visit the Authoritys official website at www.panynj.gov. Concerned customers can also contact the Port Authoritys Human Resources Center by calling 1-212-435-7000. The Port Authorities Corporate Headquarters are currently located at 225 Park Avenue South in the heart of downtown Manhattan. AAMCAR Car Rentals in New York City proudly recommends utilizing any of the Port Authoritys travel and/or transportation facilities as they provide customers with the highest level of quality service without costing clients an arm and a leg in extra fees. The Port Authority of New York and New Jersey appreciates any feedback you may have so please feel free to post a comment on the aforementioned website. The New York Jets, formerly known as the New York Titans, are one of two National Football League teams based in the Big Apple. Founded in 1960 the Jets are currently a member of the AFC East Division and play all of their home games in Rutherford, New Jersey. Coached by Herman Edwards, the New York Jets are currently ramping up for an exciting new season, so dont forget to grab some tickets during your upcoming AAMCAR New York Discount Car Rental vacation! Sports fans of all ages are sure to enjoy an afternoon of intense athleticism, so rustle up the gang and pile into your AAMCAR New York discount car rental! The New York Jets got their official start as a charter member of the American Football league in 1960. The Titans of New York, as they were called, had a short lived career as the team was quickly purchased in 1983 by Harry Wismer. The newly re-named New York Jest quickly adjusted to their new management, gaining a Super Bowl birth in 1969. Considered heavy underdogs, the New York Jets dug in and defeated the best team in the NFL 16-7 in what is now considered the biggest upset in football history. The Jets suffered numerous setbacks during the 1970 season, causing for an intense team overhaul. By 1978 the green and white were back in top shape. By 1981 the Jets were back on top, making the playoffs for the first time in over 10 years! Since then the Jets have face a variety of minor setbacks, but are currently looking forward to a top-notch season under the guidance of head coach Herman Edwards. Naming the Team The Jets are reportedly named after the jets that flow overtop of Shea Stadium, which was the teams original home. These jets came from near by La Guardia Airport. Coincidentally Jets also rhymed with Mets, as in the New York Mets who also played at Shea Stadium! On Enemy Terrain! The New York Jets currently host all of their home games in Rutherford, New Jersey inside Giants Stadium! Since leaving Shea Stadium in 1983, the Jets have been forced to host all of their home games on enemy soil, creating an atmosphere of intense rivalry (thankfully the New York Giants are currently a part of the NFC East division and rarely, if ever, suit up against the Jets!). The Jets will continue to play at Giants Stadium until a new football field is built in NYC. If you would like to learn more about these charities and youth programs please feel free to contact the New York Jets either by phone or through their official team website. AAMCAR New York Discount Car Rentals encourages you to support these worthy organizations as they help improve and enrich numerous Big Apple neighborhoods. For more information on the New York Jets National League Football team remember to visit the teams official website at www.newyorkjets.com after reserving your upcoming AAMCAR New York discount car rental. Schedules, rosters and team stats are all updated daily on this site, so go ahead and catch up on all the latest Jets gossip today! A New York rental car company you can trust and rely on, AAMCAR is one of the leading NY car rental companies and enjoys an excellent reputation in the Upper West side of the city, through to Manhattan and beyond. Part of the reason we are so popular is that we don’t believe in landing our customers with hidden charges. In other words, the cost you are quoted when you call us is what you pay on receipt of your vehicle – regardless of whether it’s a passenger van, mini van, sedan or SUV etc. And this is despite the fact we are one of the cheapest NYC car rental firms around. Having survived in the NY car and van rental business for nearly three decades now we always knew we were doing something right. However it is the loyalty of our regular customers – many who have been with us from the start – that convinces us it is our fair pricing and customer service which leads to us being at the top of our game. We realize that speed too is of the essence, of course. And because of this we always make sure you get your booking in plenty of time so that you turn at your chosen location unfazed and without a hair out of place. Meanwhile, as a company we are delighted with the results of a recent CRX Consumer Study which showed that past customers of AAMCAR here in New York would be happy to rent a vehicle from us again, as well as recommend the AAMCAR name to their friends and relatives. 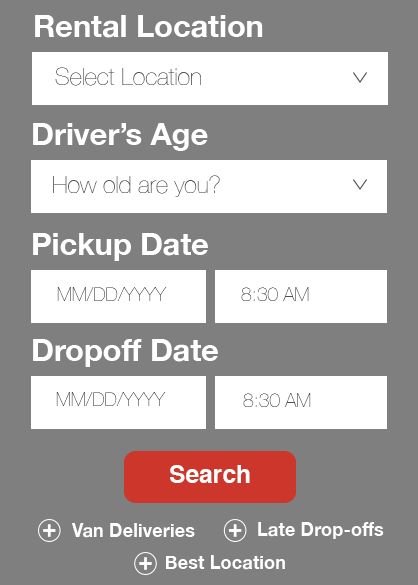 I enthusiastically recommend Aamcar! Have been going there for many years. The staff are the best, the rates are reasonable, the cars are reliable, and there has never been a problem. So pleased that operations were all running smoothly, even though I rented on a holiday. Extremely impressed by the attentiveness and courtesy of the staff. One of the most helpful features is the proximity of the location to my home and the fact that a car can be rented for 1 day on a weekend vs. the entire weekend. Before driving away in your Manhattan car rental during your next stay in NYC, its important to get educated on the major roadways, tunnels and other transportation hubs in the city. A good place to start this learning process is at the Port Authority of New York and New Jersey! The Port Authority is in charge of maintaining and managing major bridges, tunnels, bus terminals, seaports, PATH transportation and even bus terminals in the bi-state region, while at the same time playing a major role in trade capabilities throughout the area. The Port Authority is proud to provide New York residents and visitors with a variety of wonderful facilities and services, perfect for helping you navigate the busy metropolis of NYC. The Port Authority is proud to provide the city of New York with safe and efficient roadways and transportation links, creating a great environment for Manhattan car rental road trips! The port which separates New York and New Jersey was once an area filled with controversy, as both sides fought to own this vital source of trade and wealth. Throughout the 19th century political unease was a prominent feature of the area until an agreement was reached thanks to the Treaty of 1834. After years of fighting the people finally agreed that the port was, in effect, one community, and on April 30, 1921 the Port of New York Authority was established to govern the interests of both New York and New Jersey Harbors. In 1972 the agencies name was modified to more accurately and equally identify the role of this bi-state agency. The Port Authority opened the first tube of the Lincoln Tunnel in 1937, before going on to complete 2 more tubes a revolutionary feat of engineering genius! Today the Port Authority is proud to continue its commitment to the communities of New York and New Jersey, provide expansion programs and facility renovations throughout the area. Driving your Manhattan car rental truly is a pleasure when you take advantage of great Port Authority roadways, so be sure to check one out the next time your out for a drive! The Port Authority of New York and New Jersey understand the importance of safety; thats why they are proud to offer a highly skilled force of officers at each and every one of their facilities. The Port Authority Police Force includes Emergency Service Units, Firefighting and Crash Emergency Response, K-9 Units, and even Motorcycle Patrols. The Port Authority Police force is made up of strong, dedicated professional men and women, ready to serve and protect you. If you would like to contact the Port Authority Police Force please call their offices at 201-239-3500 for general inquires. The Port Authority of New York and New Jersey is a vital part of every transportation service in the city, including your Manhattan car rental, so be sure to check them out during your stay in NYC. If youd like to visit their official website today, just surf on over to www.panynj.gov for more information. The Port Authority is also available by phone at 212-435-7000.